Yale No.2 Auto-Deadlocking Nightlatch with Brass cylinder. 40mm Backset. 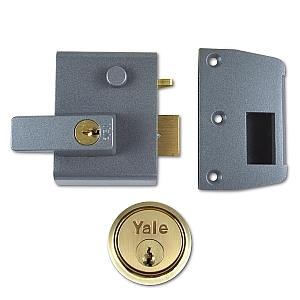 To replace old B/S Yale nightlatchs. Automatically deadlocks the latch when shut, and has assec to lock out any key use from outside with use of the key on the inside.